A simple way to add a little extra flavor to a favorite appetizer. Delicious served warm or cold with your favorite cocktail sauce. Combine water, beer, and seasoning in a saucepan. Heat to a boil and then add the shrimp. 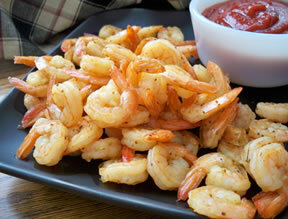 Turn heat down to a simmer and cover; cook 2 or 3 minutes, just until fresh shrimp turns pink. If using precooked shrimp, just steam for 2 minutes. 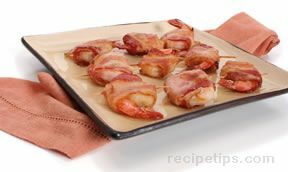 Drain shrimp and serve immediately if serving warm. 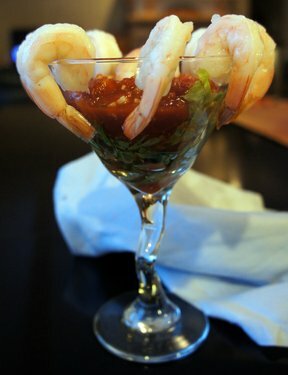 Otherwise allow shrimp to cool and then refrigerate until ready to serve. Serve with favorite cocktail sauce. "We made these for a party last weekend and everyone loved them. They had just a little added flavor and were great dipped in cocktail sauce. Now we are going to make a double batch to take to a Super Bowl party we are invited to."